Caravan holidays have always been popular as a cheaper alternative to holidaying abroad, giving people a chance to explore the natural wonders of the United Kingdom. Perfect for family bonding and meeting other like-minded people, caravan sites are often associated with the older generation and don’t have the most exciting reputation. 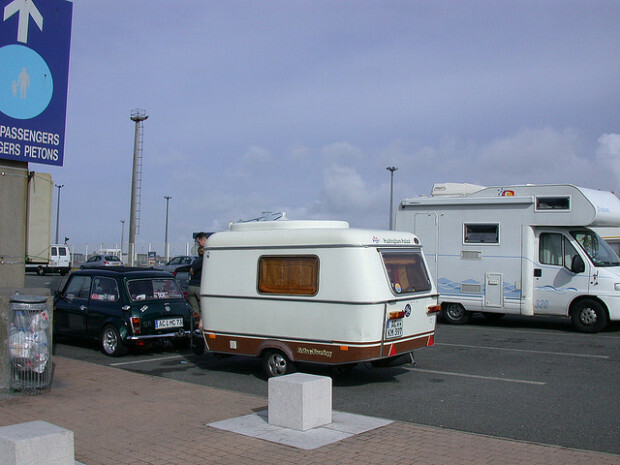 However in recent years caravanning has been taken to another level, with many different groups deciding to swap their beach break in Spain for a seaside session in England. Activities like glamping and glamavanning are bringing a modern take on camping and caravan holidays; a chance for younger people to inject a bit of glamour and luxury to the traditional British holiday. You can book a caravan on a traditional site filled with nostalgia, or bring along your home comforts and friends for a UK adventure close to local bars and amenities. Whatever you choose, it’s a great idea to research caravan sites and see which one best fits your purpose. Sites like The Caravan Club, offer great membership opportunities so you can find the best holiday at the cheapest price. From busy family sites to more secluded areas that offer privacy for your group, the club looks to make sure you have all the facilities you need in the right location for you. With caravan sites located all over the United Kingdom and Ireland, you can go on a journey to a range of different areas, all with their own charm and benefits. Sites in Scotland offer the chance to have a relaxing break amongst the serene lochs of the Lowlands or the towering mountains of the Highlands. Try Wales for sites that can be found within the valleys, offering a chance to really embrace Welsh culture and their love of the land. The rural areas of England are full of caravan sites that are surrounded by enchanting forests and woodlands, streams to splash in and picturesque lakes for picnics. Spend a weekend in Ireland, surrounded by the Celtic countryside and mysterious ancient caverns, to hear tales of the myths and legends that are embedded within Irish culture. Wherever you decide on for your caravanning in the UK adventure, The Caravan Club can help you plan and book a truly unforgettable holiday. Just remember to pack for sunshine and rain, as the weather is bound to be less predictable than a week in the Mediterranean!